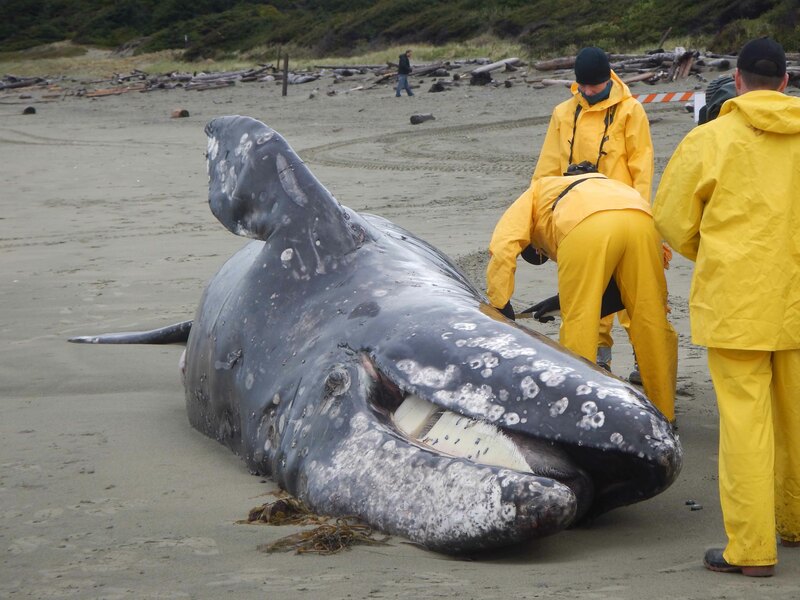 On April 20th, 2015, a 9 meter Grey Whale washed up on Long Beach, Vancouver Island. On April 23rd, a small army of researchers and volunteers performed a necropsy and cleaned most of the meat off the bones. The bones are now buried and once clean, will be added to the Royal BC Museum’s research collection. 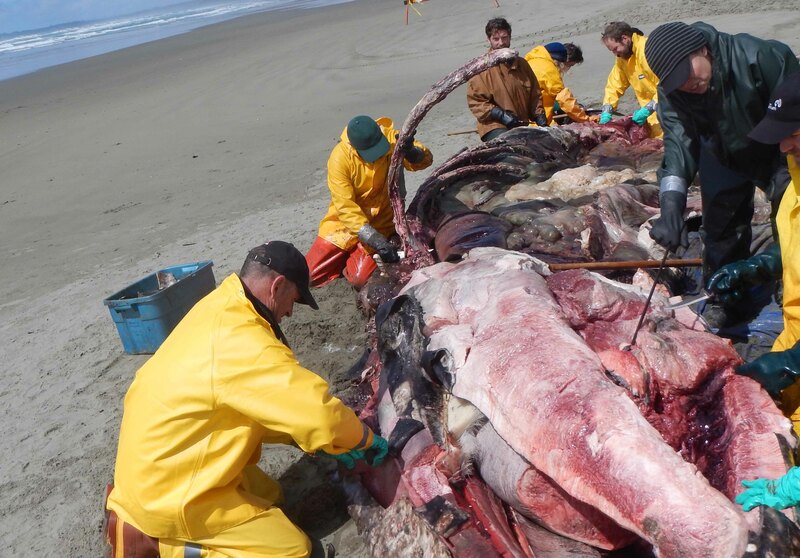 One item that did not stay with the whale’s bones was its baleen. Baleen is essentially the same epidermal material as your fingernails and acts as a sieve to allow the whale to strain water from edible morsels like crustaceans. You can see the baleen in the mouth in both of these photos, although in the second photo, most baleen had already been removed. Several organisations wanted material for public display, and so I decided to experiment with a method of slow dehydration to preserve strips of baleen. The baleen itself was removed right down to the gum-line along the jaw – and it pulled out very cleanly. I left cut sections of baleen at room temperature in a standard picnic cooler overnight. The next day I washed the sand and other debris out of the baleen and then immersed each piece in 95% ethanol. The pieces stayed in ethanol for 5 months (almost to the day), with the hope that the alcohol would draw out water from the remaining tissues. To make a short story long: it worked. The baleen was removed from the ethanol and left to air dry over a few days. I had thought I would have to use heavy nails to nail each piece to a board to prevent the tissue from curling, but it proved unnecessary. The gum-line did curl slightly, but not enough to ruin the look of each piece. 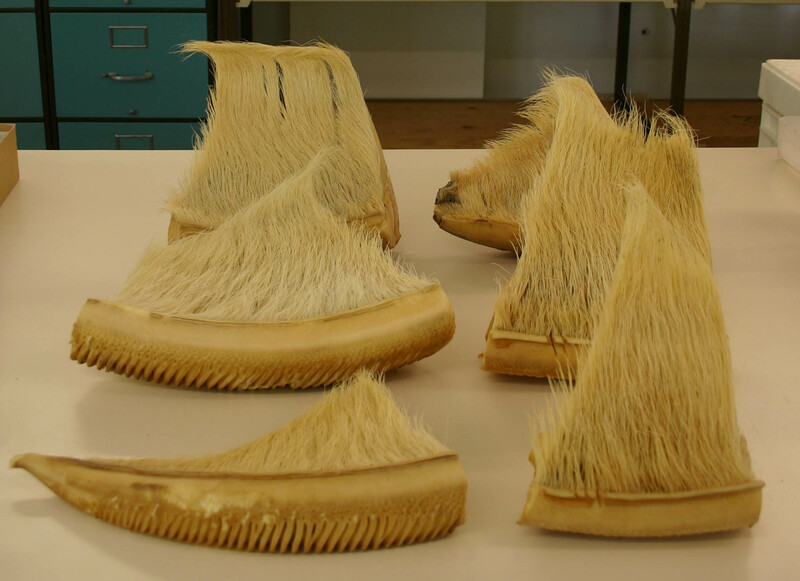 In these three photos you can see the baleen in lingual view (the side facing the tongue), labial (the side facing the lip) and the underside of the gumline which shows fine slots and canals which housed the cells producing baleen tissue. Now the baleen chunks can be left at room temperature and over time the slight alcohol-fishy-smell should dissipate. Once permits are secured for each organisation, I’ll be able to ship the sections of baleen to local nature centers so that people can see first hand how fascinating baleen really is.